Let them enjoy a wonderful round of golf with our Kooindah Waters Golf Club gift vouchers ideal for the golfing enthusiast you know! This fully-integrated residential golf and spa resort situated on 95 hectares worth of bushland in the heart of New South Wales' central coast offers a secluded and tranquil golfing venue that is the ideal escape for the golfing fanatic. 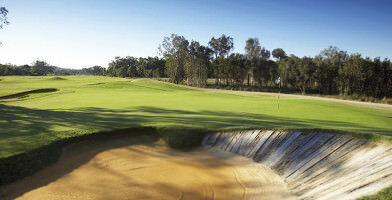 A variety of golfing packages at Kooindah Waters Golf Club are available that are perfect as a gift for a loved one, or even to purchase to help optimise your golf day at Kooindah Waters. A perfect gift for the golf-loving family member or friend whether they are just starting out or have the game "down to a tee", 18 holes worth of golfing enjoyment await, along with the use of a motorised golf cart to make navigating from one hole to the next a breeze. 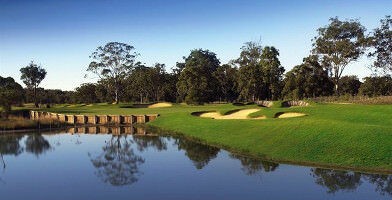 This Friday and Saturday voucher for Kooindah Waters' 18 hole golf course is the perfect gift for all golf-lovers! Buy it as a gift online here!